As we mentioned in our recent post about fall roof maintenance, the fall and winter months are hard on your home and require a bit of maintenance before the cold weather sets in. This will ensure that your home will withstand the elements, but can also save you a lot of money! Take a look at some green tips for fall maintenance that will protect your home and help you live more sustainable. “Try inserting a dollar bill in the gaps around your windows and doors.” If you can do it, you’ll need to plug that leak somehow, probably with caulk. However, in some homes it’s better to just opt for new, energy efficient windows that will help you heat and cool your home with less spent on the power bill. Extension cords should never be used on a permanent basis, but if you have any lying in the yard, now’s the time to pick them up and store them away for the winter. Consider having a home maintenance inspection. This will help you identify problem areas of your home that will necessitate further maintenance or a watchful eye in the future. If your windows are causing energy loss in your home, consider new, energy-efficient windows. Bordner can help with our skilled Kansas City window installation services. According to a recent article in the Baltimore Business Journal, home remodeling projects are finally on the rise. The American Institute of Architects (AIA) Home Design Trend Survey reveals that remodeling projects have increased for two consecutive quarters, a first in the time since the recession began back in 2008. However, it’s clear that things have changed a lot since then, as evidenced by the types of projects homeowners are undertaking. Specialty features and single-use spaces are a thing of the past, and practical projects are here to stay. AIA’s Chief Economist, Kermit Baker had this to say about the current home design trends. We are far removed from the days when there was strong demand for home theaters and saunas. Instead, the last several years have seen consumer priorities based more on practicality, ease and affordability over luxury. While home theaters may be a thing of the past, energy efficiency is here to stay, with many homeowners choosing to do green home remodeling project. Replacing windows and doors is a popular and smart way to increase your home’s energy efficiency, one of the best home improvement projects mentioned in a recent post. Plus, these are quick and easy projects that don’t involve a lot of disturbance to your household. Bordner provides door and window replacement and installation throughout Kansas City, so if you are interested in saving money on your energy bill, give us a call! To learn more aboutreplacement entry doors and energy efficient window installation, visit our site and set up an appointment with one of our specialists. At our Kansas City home improvement company, we offer a wide range of services for homes new and old, including stucco installation and repair. Homeowners have long appreciated the benefits of traditional stucco, which is not only attractive, but also extremely durable. Innovations in the industry have made stucco even better these days, allowing home and business owners to achieve fantastic results thanks to acrylic finishes and sculptured trim. Acrylic stucco finishes are ideal for those who would like a totally maintenance-free finish, while sculptured trim allows customers to enhance the architectural appeal of their homes. For more information, contact Bordner to set up a free stucco consultation. Your Kansas City home could have a new look in no time! You may think that any home improvement project for your Kansas City home would increase the value, but think again! According to a recent article, not all “improvements” will actually enhance the value of your home. Beware of value-killing renovations has some great information about the right kind of home improvement projects. Some features that seem like obvious improvements can actually discourage buyers. For instance, a swimming pool or koi pond may scare off potential buyers who are worried about the maintenance required or the safety concerns. Don’t worry though; there are some great projects that will benefit your home and also increase its value! The article states that the best ROI (return on investment) can be gained from fiber cement siding installation or replacement. At Bordner, we install fiber cement siding for many homeowners throughout Kansas City, so give us a call today to set up a consultation. Other home improvement projects with good ROI include vinyl siding installation, steel entry door replacement, and garage door replacement. We offer all of these services to our clients, so visit our website to learn more about the value each of these projects may hold for your home. September is National Mold Awareness Month, so we’ll be discussing some ways in which you can protect your home and family from harmful mold. First off, it’s important to know a little about mold. We highly recommend reading over the EPA Mold and Moisture pages, which provide a great overview. Mold spores produce mycotoxins, or toxic vapors, which can have very serious health implications. Mycotoxins can cause everything from seemingly minor skin irritation, nosebleeds, headaches, and cold-like symptoms, to severe neurological damage, respiratory problems, and even cancer. In order to protect your family from mold, it all comes down to one thing: preventing moisture from entering your home. That’s just one more reason to embrace regular roof maintenance. A damaged roof can allow water into your home, creating moisture in the attic, walls, and ceilings. It’s also important to hire a trustworthy siding installation company, because improperly installed siding can also lead to unwanted moisture. 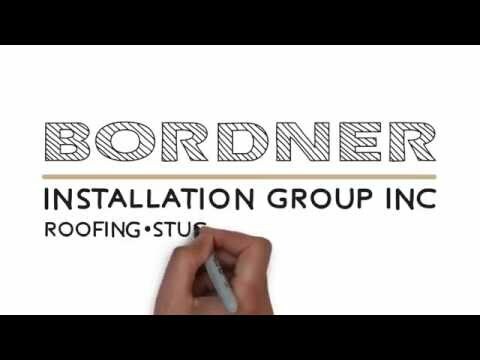 To learn more about our Kansas City roofing or siding installation services, contact Bordner today! Settling on a roofing material for your Kansas City home can be challenging, and depends on many different factors. Cost, durability, and the architectural style of your home all play into the decision, but Bordner can help you choose the type of roof that is best for your home. One of the most beautiful and sophisticated materials we offer is wood shake roofing. If you’re looking for wood roofing installation in Kansas City, you’ll be glad to learn that we have earned the highest level certification with the Cedar Shake and Shingle Bureau, a non-profit trade organization that encourages excellence in the wood roofing industry. To find out if wood shake roofing is right for your home, visit our roofing guide and contact us to set up a free roofing consultation! As Kansas City roof installers, we take pride in using high-quality roofing materials to ensure the roofs we build can stand the test of time. We happily use GAF roofing products for that very reason. But today, we’re putting the spotlight on GAF for something else- their outstanding work on the Homeliest Home Contest! The company held a contest to provide a full exterior home makeover to individuals in three categories: military service members, people suffering from an illness, and victims of weather-related home damage. You can see the amazing makeovers by visiting GAF Roofing on Facebook. Here’s one of our favorites, a great example of how a new roof can transform the look of a home. It also features new siding, stone veneer, and shakes, which work together to create a beautiful new facade. If you are looking for a Kansas city roofing company that carries GAF roofing products, contact Bordner today! We recently stumbled upon a great post over on the CertainTeed Blog- “Will Homebuyers Pay More for Green?” The article deals with the changing impact of the economy and housing market on green building trends. According to the post, fewer people are willing to pay more for green home improvements these days based on purely environmental reasoning. However, more people are actually willing to pay more if those environmental reasons are backed up with hard and fast benefits to the consumer. In days gone by, homeowners usually made their purchasing decisions based on the “up-front cost factor,” but now people are starting to realize that a larger up-front cost can pay off hugely in the long run when it comes to durability and sustainability. At Bordner, we make it a point to provide our customers with the product knowledge they need to make the right choices for their homes. Our Kansas City home improvement company offers a wide variety of energy efficient and otherwise “green” home building products, including fiber cement siding by CertainTeed. Call us today to learn more about fiber cement siding installation and other services for your home! If you are considering which home improvement projects to undertake on your Kansas City home this year, it pays to include some energy efficient updates. But which home improvement projects will most improve the energy efficiency of your home? Take a look at a few of the best options from this green home improvement article. Add insulation- Retain more heat in the winter by beefing up the insulation in your attic. Eliminate leaks- If your home has leaks around doors, windows, vents, and other areas, you could be wasting a substantial amount of energy cooling or heating air that simply escapes outside. Install energy efficient replacement windows- New window models can provide major energy savings. Upgrade to energy efficient doors- Avoid hollow metal doors, which will allow more heat loss. For Kansas City window installation, roofing repair, and much more, we’re the obvious choice. Contact Bordner today to learn more about our Kansas City home repair services. Is your roof in good shape? Take a look at these roof problems to look out for in your Kansas City home. Missing or torn shingles– If shingles are out of place, the roof of your home is exposed to the elements and can sustain water damage or rot. What’s worse, missing shingles can cause allow adjacent shingles to be blown away, making the problem even worse! It’s important to address the issue right away to prevent further damage. Damaged or missing flashing– Examine the metal surrounding your chimney, skylights, vents, and areas where roof sections meet. If the flashing is rusty, damaged, or missing altogether, you could have a leak waiting to happen. Problems with interior walls or ceilings– If you notice discolored, cracked, or peeling plasterboard, paint, or wallpaper, these may be signs of a hidden leak. Moss– If there is moss growing on your roof, it can trap water and decrease the life of the roofing material. Age– If your roof is 15 years or older, it’s a good idea to have it inspected. While some types of roofing can last longer than 15 years, that is the point at which many types of roofs start to decay. No matter what problems you’re having with your roof, we’re more than happy to help. Contact Bordner today to set up a free roof consultation and receive an estimate on roof repair or replacement.